8.20 am sharp my lecturer asked us to be at the Plaza 66, where we could meet and gather first before entering the store that we were going to have fieldtrip in. 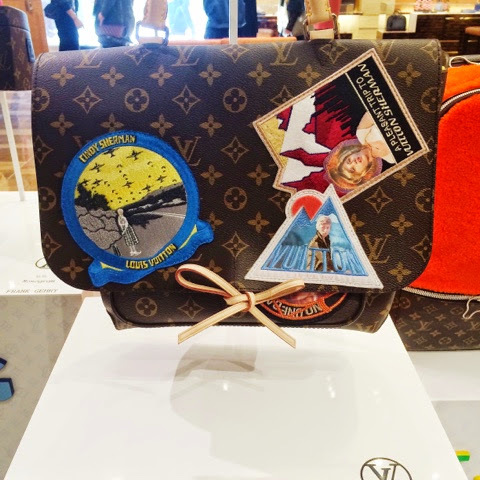 LV is one of the brands under LVMH group and offer anything that endlessly fascinating. At 8.30, we gathered in front of the huge 4-floor store and Mr. Giuseppe Univochi, the LV Senior Visual Merchandising Manager with his staffs welcomed us and did the short introduction of his position. 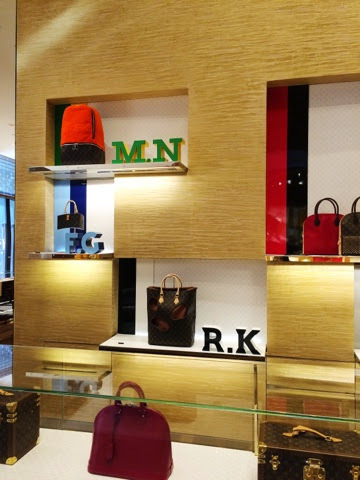 LV has 3 kind of store, which have their own criteria and function from different aspects. This store has the entire collection of the brand. But the core function is for the clients in order they could sense and experience the brand itself. For that reason, clients are going to feel the brand, the lifestyle of being a part of LV. 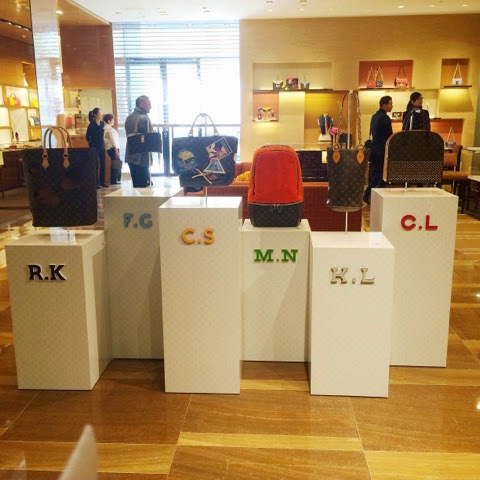 On the plus side, every flagship stores have the special booth for clients who posses the desire of their personalized and customized belongings. And the one that I visited was the Maison (lucky me). 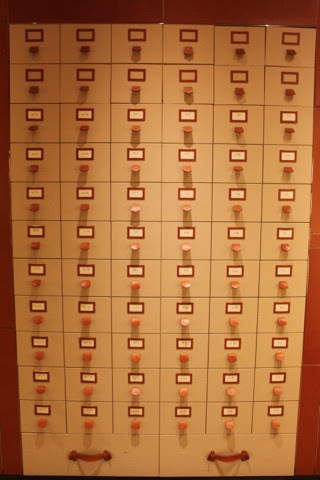 Place that provides entire collections. But you could not experience the customized service here. Is the simplest store of all, but still. Amazing. 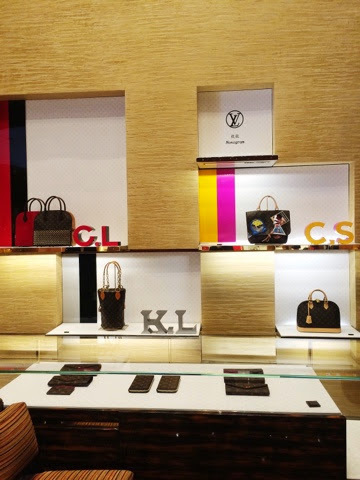 When I looked at the window display, it was something different about LV, and compared to other luxury store, LV’s design was very catchy and phenomenal. Because they had the huge ribbons behind the display, they had balloons, and they had 6 different window displays for each designers they are collaborating with. Mr. Univochi explained it was the idea to celebrate 160 years of LV. Which had the main concept of Monogram, therefore, LV had a term of collaborating with designers and Christmas was the reason of the festive decoration with balloons and ribbons. And my favorite ones are Christian’s and Cindy’s. I could not pick just one but they were all very amazing. With their own signature style and personality. It was a 4 floor store with the categories of women for the first 2 floor, men at the 3rd floor, and the 4th floor was the ”apartment”. The first 2 floors had all collections of bags, accessories, clothes, shoes, scarves for women. They were very gorgeous, most of them were very classy and elegant. Then Mr. Giuseppe guided us through the main entrance, located inside the mall. And after we observed all the designers aspects from the window display, we entered LV and the first thing I noticed was the Travel bags. Mr. Univochi spelled out that travel bags are the first thing you see when entering through the shop because travel bags were the starting point of LV. 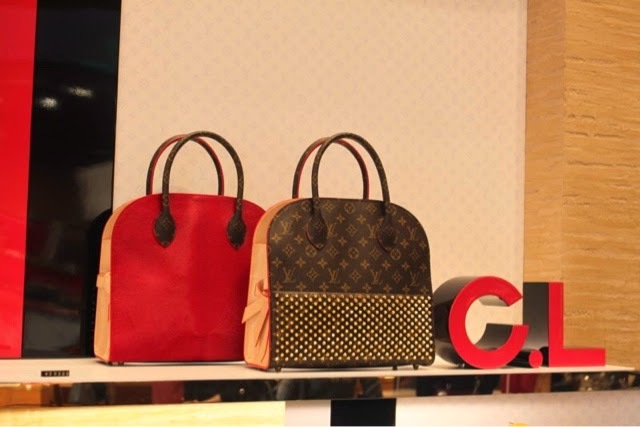 At first, LV developed the travel essentials especially luggage and travel bags. Then LV expanded their business in making of women’s bag and so on. LV was the well-known brand in terms of leather goods, which explain how the price worth its weight in gold. The setting of the travel goods was very clear. Since they separated for both men and women. Women were on the right and men were on the left side. The plus thing was they had a table full of accessories in the middle. Giving a clear and brilliant idea of how well the placement was. It would obviously help clients to shop and more comfortable for people. Furthermore, when strolling across the huge store, we saw another section with bags, especially the designers bags that I spotted in the middle of the sections. The bags were also had their own categories. The position was making clear of the purpose and function that the bag will contribute in your picture. Each bags would had their own perceptions of how people put and match them up into some occasions. People could look classy, trendy, fun and serious but elegant depending on the color and the design. Therefore it was very important to segregate each section. Then we moved to the 2nd floor. The stairs was beautiful. I couldn’t stop staring at the stairs just because they looked smashing. Even the stairs were awesome, no wonder they called it luxury goods. Everything in the store is luxury. The 2nd floor It was full with women’s wear and shoes. I realized there were some outfits that I saw on the LV series 1 exhibition. Which were very appealing and stunning. After we took a short tour around 2nd floor, it was time to move and visit 3rd floor, which had the men section. If I must say, the men section was HOT. Even though there were only mannequin that using all the suits and casual outfits, they look irresistible. I was imagining all those movies in the 1920s when all the men were suiting up with tuxedos and they were just unavoidable :D.
Next stop was the corner with customized shoes. 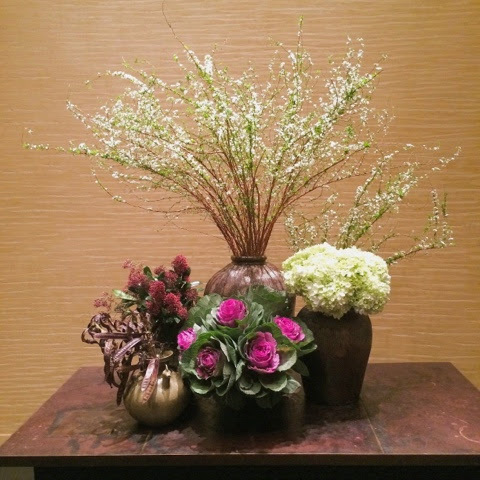 The clients could choose any kind of material they wanted, the leather, the color, and the designs. It was made especially for you, which I found incredibly cool and expensive. Without taking so long, Mr. Univochi took us to the most mysterious place located in the 4th floor that not every person could step in to the apartment and strolling around like nothing happened. He said that the apartmentwas the place only for the VIPs of LV. 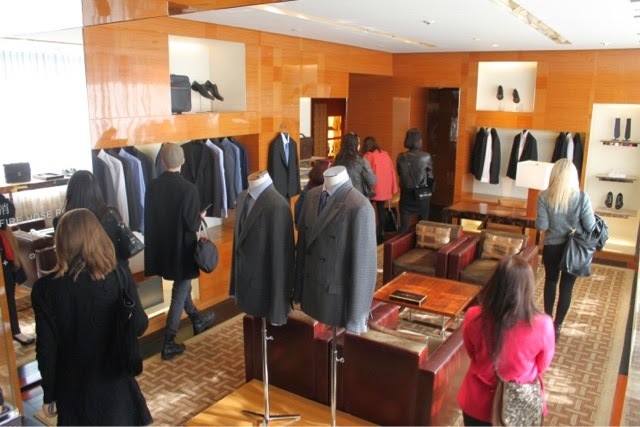 Meaning the place is dedicated for the loyal clients of LV, which get special services as LV customers. Other than that, the apartment is also used for welcoming and serving honored guests from magazines, televisions, and other important persons for some specific occasions. 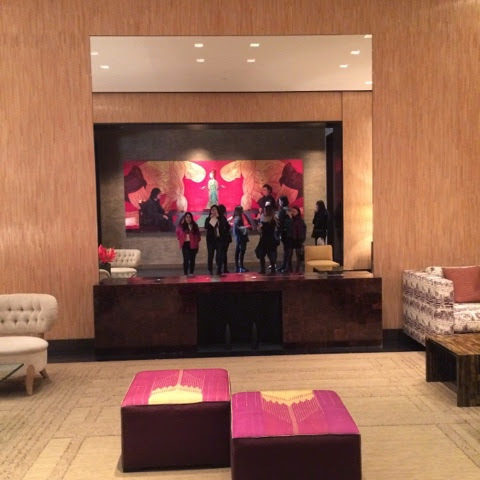 Once we stepped out of the elevator and we arrived at the place, the atmosphere was very calm and it felt like home. They made it very relaxing, and calm. As if you are in your own place. It was very lucky for us that the apartment was not in use for the moment and we had about 15 minutes, more less to enjoy and experience being part of LV’s VIP. Time to get back to the truth that our time for having the trip was going to over, so my lecturer decided to have an open questions to anyone who wants to ask something. My friends were asking about how long will the collections stay in place, and where did the concept comes from, was it from the LV center, and so on. But the most interesting answer from Mr. Giuseppe was when my lecturer asked how to be a successful Visual Merchandising. He answered it is all about passion, if you do not enjoy and feel it, it is nothing. But if you do it with all your heart it will be something. Knowing that he has been working as a Visual Merchandising for about 11 years until now, everything explains that he rally love his job, ergo making him as a professional one. 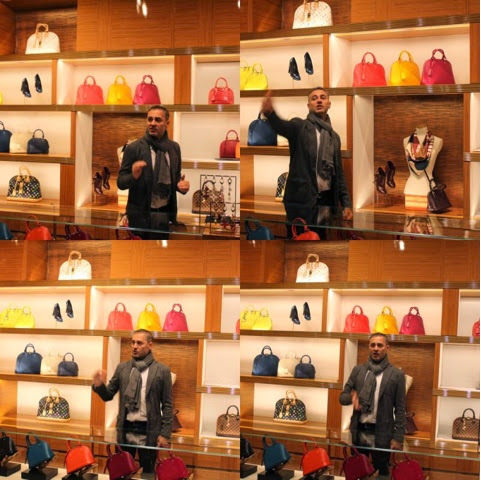 Other tips that Mr. Giuseppe told us : Visual Merchandising is all about making link to each other. Synchronizing everything in the store and try to s end message to the clients in order that they understand what are the store’s trying to say. It is also about knowing and to classify the clients, what type of the clients that suits and match the store’s personality. The other important thing as a VM is to cooperate with other departments and to use the 360 degrees transversal work. Being a VM must understand and could imagine to link different contrast instrument as a dynamic elements. Creativity and to think outside the box are some standard regarding to work as an expertise in the field.